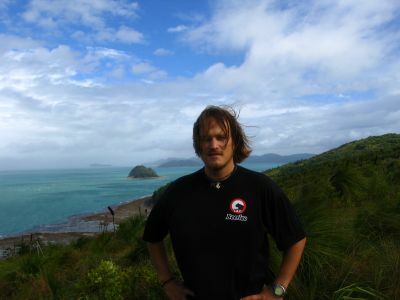 stephanie and i left the red center and headed for the great barrier reef in queensland. 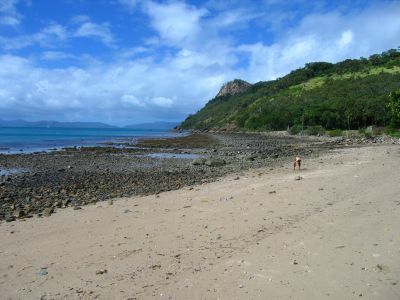 here she is on the beach of south molle islands, part of the whitsunday islands of australia. 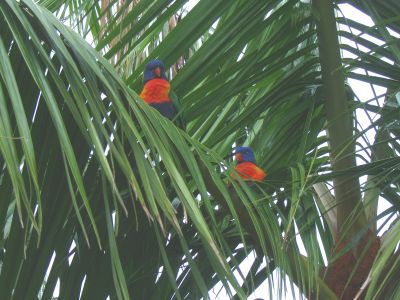 not a great picture, but here are two colorful parrots from a group that flew all over the island. pretty cool to have a parrot begging for food instead of a dirty pigeon. 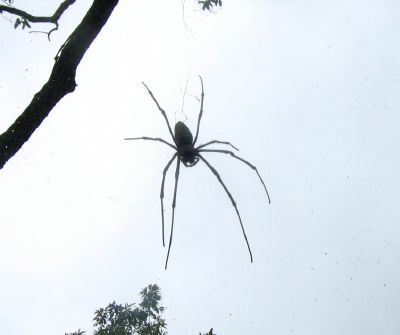 gotta watch where you are going when walking through oz - there are some seriously big spiders hanging around. 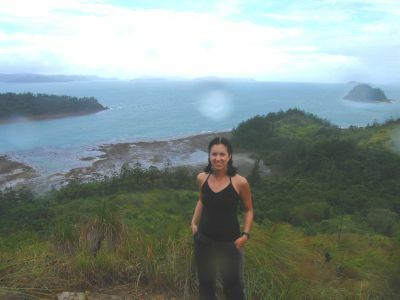 we hiked to the top of molle islands for views across the whitsundays - unfortunately the rain reduced the quality of the photos. here stephanie braves the rain during the climb. 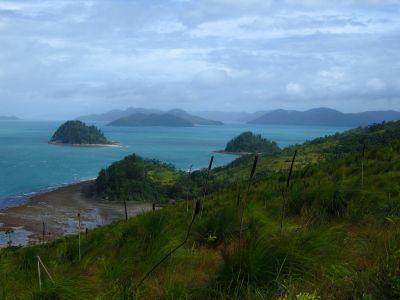 from the top of south molle island. here i am showing off my first shave and haircut in over a year. 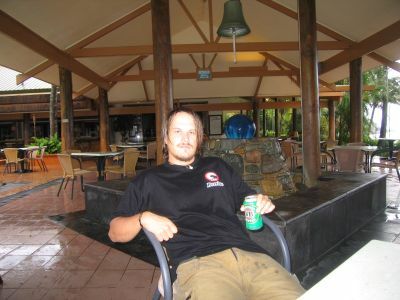 stephanie cut my hair in the bungalow and i shaved in the car on the way to uluru. 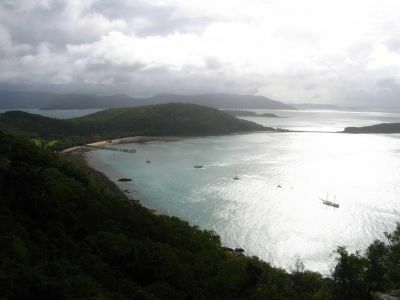 the natural harbor of south molle as seen from the top of the island. 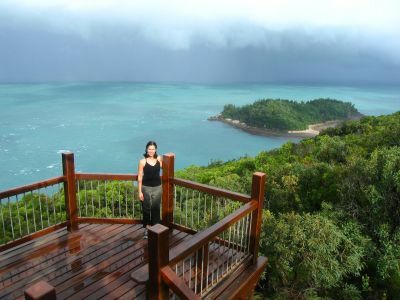 the sun poked out for just a second as stephanie posed at the top of the island. we got soaked during the walk, so we headed to the bar at the resort. a few victoria bitters fixed me right up.